We look forward to meeting with you. Let us know what you're interested in and book a time that's convenient for you. This site visit is for new couples, business meeting planners and individuals looking for the perfect venue to host their event. One of professional event specialist will first talk to you about your event inspiration and ideas. You will then be escorted around Harmony Hall Estate and will experience the endless possibilities Harmony Hall has to offer as you view our restored farm house with a fully appointed bridal suite with bridal dinning room, professional salon and dressing areas as well as the first floor gathering area perfect for the gentleman in the bridal party, small business gatherings, birthday parties and showers. You will also visit our grand ballroom, multiple ceremony site locations, outdoor lounge area and all of our beautifully landscaped lawn areas including the wooded tree grove and pond with waterfall. Our event specialist will also review our in house catering packages, use any caterer you wish options, wedding planning services, outside vendor relationships, catering packages, pricing structure and payment options. Please come to the office which is located in the gray siding portion of the stone house upon arrival. Allow 1 hour for your site visit. This meeting is your first meeting to get you started on your event planning journey! At this meeting we will start to customize your wedding/event planner by preparing and reviewing your anticipated timeline of the days activities, we will review your expectations for your event, we will review the food and beverage options you wish to serve at your event and answer any questions you may have about planning your wedding, business or social event. 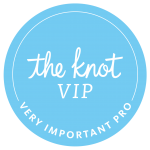 For our wedding couples your second payment is due at this meeting and will be calculated based upon your estimated guest count, food and beverage selected and the payment plan option you chose. Please come to the office which is located in the gray siding portion of the stone house upon arrival. Allow 2 hours for this meeting. This meeting is your first meeting to get you started in planning the layout and décor elements you wish to incorporate into your wedding day or event. 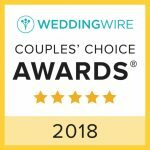 We will discover what your wedding day or event inspirations are by reviewing any photos, magazines and Pinterest pages and any other material you wish to share with us. We will also walk you through our storage area so you can view what décor elements and house linen selection we have to offer. We will discuss rental items you may need as well as help you determine the best layout and timeline for your wedding day ceremony/ reception or event. We will also walk you around the property how best to utilize Harmony Hall Estate to gain the maximum impact for your event and update your planner. Please come to the Grand Ballroom upon arrival. Allow 1 hour for this meeting. This meeting is designed to allow you to see first hand what your table scape and décor elements will look like. We will show you samples if requested, set the table with as many of your décor elements that are available, review your time line, generate a computerized layout of the Grand Ballroom, update your planner and show you your LED up lighting color choices. Please come to the Grand Ballroom upon arrival Allow 1 hour for this meeting. This meeting will be your last formal meeting with our professional event specialist. We will review your timeline, food and beverage selections, décor elements, rental items, guest count, finalize your timeline and wedding/ceremony or event set up. Your final payment is due at this meeting. For us to provide you with the best possible service for your wedding day please remember to have your guest count and seating chart completed, email this to Jill or Lexi 2 days prior to your final meeting. Please come to the office which is located in the gray siding portion of the stone house upon arrival. Allow 1 hour for your site visit. This is when you will deliver to us any items you will be supplying for your event. This is usually scheduled the Wednesday prior to your wedding day between 11:00am - 2:00pm.